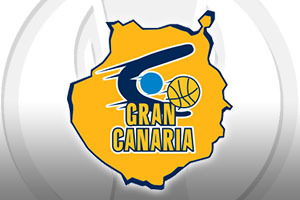 With the away team winning the first game by 17 points, there is every confidence and expectation that Herbalife Gran Canaria Las Palmas will take care of business in the second game. When you take on board the fact that the team has won 23 out of their last 25 games at home, you see the tough task that faces Limoges CSP on Wednesday night. The two defeats in this run came at the hands of Khimki Moscow Rehion and Stasbourg, both last season. The defeat to Khimki came in the Eurocup Finals and the loss to the French side came during last season’s Last 32. This means that Las Palmas will be confident of finishing the job this week. Sasu Salin was a big player last week with 18 points for Gran Canaria and he was backed up DJ Seeley, who offered up 16 points in the win. For the losing team, Nobel Boungou-Colo and Leo Westermann both provided 13 points in the loss. If there is any hope of salvation for the French side, it comes with the fact that they have already triumphed on Spanish soil by the necessary margin this campaign. A 20 point away win against Valencia Basket indicates that Limoges have what it takes to score big on the road and if they can get close to that sort of performance, this tie may not be over. It is clearly a big challenge for Limoges on Wednesday night though. This game is likely to be a tighter affair, with the nature of the first leg playing a part in the game. The away team have to score big while the hosts know that anything but a disastrous defeat would allow them to make progress. Gran Canaria should still have enough to make it through so look to take Herbalife Gran Canaria Las Palmas at -7.5, at odds of 1.90. With the Over/Under market on offer, you should look to go UNDER 152.5 which you can find at odds of 1.90. Bet Now!